As Campus North goes up, the Maroon has decided to take a look at how Pierce went down. 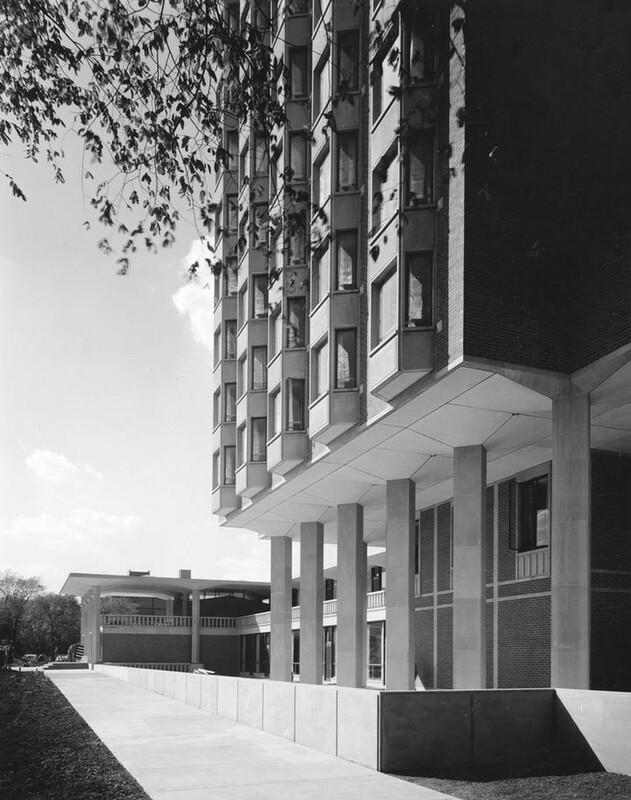 Pierce Tower was built in 1960 and demolished in 2013 due to extensive maintenance and facilities issues. In order to compensate for deplorable housing conditions, the University doled out what was known as “toilet money” to Pierce residents. The residence hall had been plagued with maintenance issues for a long time prior to its closure. Elevator outages, water outages, broken drains, and decaying furniture were regular and recurring problems. Not only that, but in February 2012, toilets actually exploded—turning into geysers upon flushing—with enough force that pieces of shattered porcelain were found on the floor around one of the toilets. Student outrage over these incidents led to renovations over the 2012 spring break, including new furniture and plumbing improvements. But that wasn’t the only step the University took to placate students; a week after spring break, it was announced that each resident of Pierce would be given $500 to spend at bookstores on campus. Moreover, each house—Shorey, Thompson, Henderson, and Tufts—received $25,000, and Pierce Tower Council got $10,000. Some called it “toilet money,” but a lot of people called it “hush money,” according to Jonny Behrens, a third-year from Henderson. The credits were meant to compensate for the worsening living conditions of Pierce, but they were also viewed as a way to make students quiet down about maintenance incidents like the exploding toilets. By the 2012–2013 school year, Henderson had already spent a good deal of its money and still had $15,000 to $20,000 left in funds. The “toilet money” came from Housing, so it had to be used for events that would foster house culture, including restaurant dinners, performances of The Book of Mormon, comedy shows, and laser tag. Pierce Tower was set to close two years ago, and as early as May 2012, administration stated that there were plans to submit a proposal for the building of a new dorm in Pierce’s place. However, nothing was officially decided until November 2012, less than one year before the dorm’s closure. This was because Pierce’s houses were going to be moved to other buildings, with Henderson and Tufts possibly merged together into one house in New Grad. After much protest, the houses remained separate. The other two houses that moved from Pierce, Shorey and Thompson, which were both relocated to International House. However, once Pierce houses moved to new residence commons, they did retain their house funds.